From humble beginnings, Nelson Environmental Remediation Ltd. has become a global leader in the soil remediation industry. 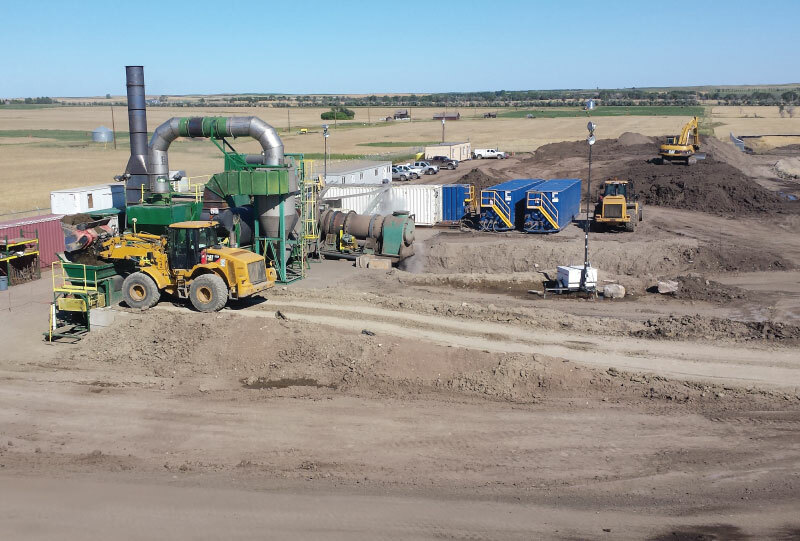 How the Alberta born and bred remediation business came to be and continues to evolve as a proven success in the ever changing and growing industry didn’t just happen. In the early 1980s, Darryl and Warren Nelson succeeded their father in the family business, John Nelson Construction Ltd., serving Western Canada’s oil and gas industry. Recognizing the emerging opportunity in remediation, the Nelson brothers pioneered a new industry, founding Nelson Environmental Remediation in 1992, and developed a global reputation for success. Using the Low-Temperature Thermal Desorption (TDU) process, NELSON uses their mobile fleet to offer on-site extraction and destruction of organic soil contaminants resulting in beneficial re-use soil for their clients. From their home base located just West of the City of Edmonton off Highway 16A in Acheson, NELSON has developed into an International success story. Soil is in our history. Soil remediation is our purpose. Since 1994, NELSON has developed expertise in employing mobile on site TDU technology for the remediation of soil contaminated with hydrocarbon and other organic compounds under extreme conditions. NELSON maintains the largest fleet of mobile TDU’s in North America and, with its extensive experience, is able to compete on a global scale. The Alberta business offers a cost effective and guaranteed solution with many additional values provided, depending on project scope. Fast-forward to today and NELSON’s process isn’t questioned. It is proven, and a testament to the fact is the long-time management staff, who are all individually approaching 25 years of experience within the remediation industry, which is a claim not many other companies can make. With many completed projects just in Alberta dating back to their first with Imperial Oil in Devon in June 1996, NELSON continues to work hard on growing and educating those in the industry on how their process not only creates beneficial re-use soil but also removes numerous liabilities off the road and creates several positive social outcomes. Although NELSON has experienced success serving Western Canada, they’ve completed projects across the United States and Internationally including Europe and Africa. The company has completed projects in sweltering heat and bitter cold. The management group also attends numerous networking conferences internationally, looking to showcase their experience, their expertise, and passion for creating beneficial reuse material. NELSON was a finalist in 2015 EY’s Entrepreneur Of The Year Awards in the Environmental Innovation category and won the Clean Technology category of the 2015 Alberta Export Awards in recognition of their work around the world. They have also been recognized by the Canadian Government for their use of environmental technology. The technology is regarded as a B.A.T (Best Available Technology). NELSON continues to grow and was profiled in the January 2016 edition of Business in Canada. NELSON started with a staff of just five and now has grown to more than 50. Recently, NELSON has obtained permits from the States of North Dakota, Colorado, and Hawaii (via Hawaii Department of Health) and is actively seeking market expansion across North America, Asia, and the Middle East. NELSON also has project experience overseas and in the continental United States under strict EPA guidance. NELSON continually invests in new technology, process improvement, and research into new contaminants. Adapting to changing market conditions and regulations, NELSON has become a world leading soil remediation solution provider.